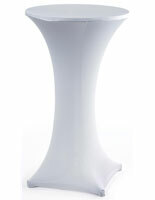 These Highboy Event Tables Are Portable Party Furniture! 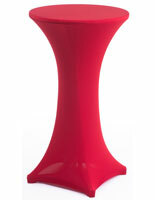 These Collapsible Cocktail Fixtures Snap Together Securely For Daily Or Special Event Use! 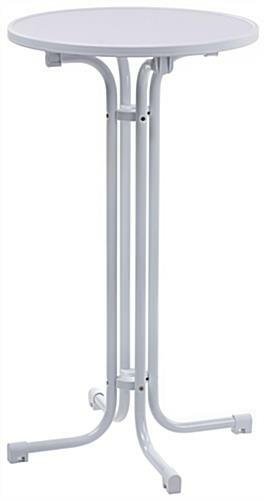 Durable steel and MDF construction have attractive white finish. 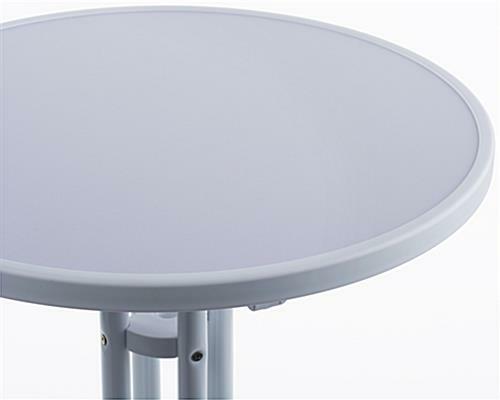 Attractive and functional design of party furniture works with or without tablecloths. 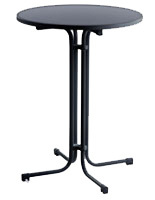 Folding legs and snap-on top are ideal for use on-site or as rental elements at events. These highboy event tables are white-finish restaurant or rental fixtures with a 23-1/2" diameter MDF top and 42-1/4" steel folding legs. 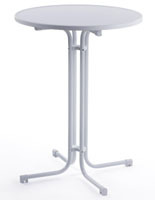 Each modular 2-piece party accessory has a snap-on top and folding legs for easy setup as well as stability while in use. 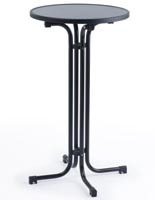 These high cocktail party furniture elements, collapsible highboy event tables are great for use at any size event, tradeshow, restaurant or hotel and make great party rental fixtures for event companies. Durable construction and a great design make these attractive enough to be used with or without coverings or table cloths. 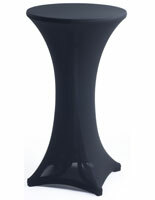 These highboy event tables, also known as 2-piece portable cocktail high boys, are available in several different colors and sizes as well as bundled with elegant colored coverings in stylish colors (see "related items" for details).